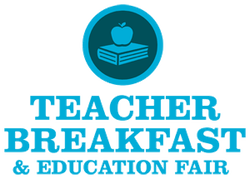 More than 500 educators representing Conway Public Schools, Conway Christian Schools, and St. Joseph Catholic Schools attend the annual Teacher Breakfast and Education Fair prior to the start of each school year. The event begins at 7 a.m. and lasts until 9 a.m. and includes a complimentary breakfast along with prizes and booths set up by more than 100 participating vendors. The fair is an opportunity for local businesses to welcome Conway’s educators back to school and to offer educators tools for their classrooms while showcasing their products and services. The fair also serves as a time for teachers and staff to visit with their peers and to create a stronger bond throughout Conway's education community. Contact Therese Williams, Director of Events, at Therese@ConwayArkansas.org or 501.932.5411 to reserve a space.